Bio: Michael Zavet is a serial entrepreneur with a track record of success. Coming from the lucrative but challenging real estate development industry, Michael executed over $1,000,000,000 worth of real estate projects and in the process was groomed to think critically and be an aggressive negotiator. He went on to co-found one of Canada's most successful publicly traded Cannabis companies Emblem Corp (EMC.V) and several successful fintech startups. Michael was an early adopter of Cryptocurrencies and found success in the space having invested and advised in a number of high profile projects including Ethereum, HIVE, Polymath, Paycase, Global Blockchain and Shyft. He leveraged his success, vision, and unique relationships to assemble Hyperion – the future of Crypto and Securities trading. Manseeb Khan: Hey everybody. How are you doing today. 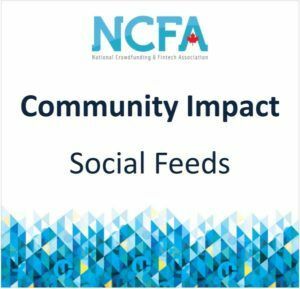 Manseeb Khan here and you are tuning in to Fintech Fridays brought to you by Canada's National Fintech and Crowdfunding Association also known as the NCFA. Today I have an absolutely incredible guest if you guys are very versed in the industry might know who he is. We've got Michael Zavet from Hyperion Exchange. Michael thank you so much for sitting down with me today. Michael Zavet: Thank you for having me. Manseeb Khan: Yeah no absolutely. So just for the audience for I guess the three or four people that don't know who you are essentially what a company does. Could you just give us a little rundown of who you are and what Hyperion Exchange is ? Michael Zavet: I've been in the crypto space for about two years now I entered the space through sort of the lens of traditional finance. So, think all the issues that are kind of now becoming the focus of regulators and things like that I decided to look for certain solutions that involve sort of you know compliance first kind of model and that will lead me to establishing Hyperion as sort of a compliance first exchange. And what Hyperion is or aims be is a Crypto Securities Exchange. so, an exchange that offers STO's which would be similar to an IPO in essence. Manseeb Khan: You guys like to call yourself a hybrid exchange right. Like you just mentioned you want to focus a little bit more on security tokens and stable tokens could you talk a little bit more of what a hybrid exchange looks like to you guys and where you kind of see. Do you see this becoming more of a trend you see more companies going into what could you just talk a little bit more about that? Michael Zavet: So as a hybrid exchange we're initially launching with you know sort of the traditional tokens that exist right now the Bitcoins and the Ethereum and other what are called utility tokens and the reason being that you know that that's where the market is today. But what we feel is going to happen is there is going to be this evolution of asset backed and tokenized securities and a lot of the ICOs that exist today. I mean in reality they actually are securities and took advantage of this time and framework that was very new, and regulators didn't understand in order to raise funds but we're seeing that is no longer than a fly and a lot of these projects are now being scrutinized. So, what we're seeing is that companies now are being compliant offerings for what would be an STO. So, while we're launching with sort of the utility tokens that slipped by under the old framework we're aiming to start listing these new vehicles which would be STO. Manseeb Khan: Awesome so I guess this is more of a temporary shift and that hopefully like I mean everybody else in the space it just goes full exchange mode right. like it's not this Frankenstein kind of exchange. Michael Zavet: I wouldn't say temporary. You know there's a huge appetite for the top market tokens and the reality of the space. So, we're going to take advantage of that and get investors they want. But I think that as the shift starts happening it will be very interesting to see the new products that that will arise. Manseeb Khan: I've definitely covered some of the past episodes of essentially stable coins are secured coins are, but we've actually never really gotten depth for a second. Could you just give a little bit more of understanding why people in the industry it be investors be it actually crypt verse people are kind of pushing for stable coins to security coins compared to like this the quote unquote traditional ICOs. Michael Zavet: Yes. So what stable coins I think well the main thing is when you're investing on an exchange you need something to sort of you know secure your investment so when you exit say and you take your gains from a bitcoin or any other token for example you a park them somewhere temporarily unless you're withdrawing them from the exchange which takes time right. And that's why there's this push stable coins because essentially you know the dollar value will be at par with currency that is stable coin represent so there's huge appetite for. And the other thing is that the first stable coin let's say Tether probably the first one or at least the most popular one that came out has now caught a lot of slack and is under scrutiny. So, this created opportunities for companies to produce their own stable coins and some have very creative methods. You know Tether was tied to USD. Even now we're seeing stable coins that are tied to gold and other products and there's a huge appetite. With regards to STO's what's happening with STO's essentially very similar to traditional security offerings in the United States. A lot of Reg-D offerings coming out as STOs as Reg CS possibly down the road Reg A plus and in Canada there will be an OSC compliant offering. So, what we're seeing is essentially a very similar path to raising equity for a traditional company except through tokenized vehicles . And the reason people do this is because they're opening up to the crypto investors and looking for other liquidity methods. Manseeb Khan: Yeah no that beautifully goes into I guess the next question I was going to ask of you are actually seeing I mean being part of the startup space you're seeing a lot of startups actually consider instead of just going through the traditional either VC or angel investor route out there actually thinking of launching an ICO and just seeing how it goes there. Do you think. Do you see any stability when it comes to a company you see like a more of a permanent future of companies actually launching ICO's or do you think this is just a hype? Because Crypto and Blockchain and just everything has been very much hyped up for the past 18, 24 months. So, do you see this actually having a legit runway and companies are actually going to just go "nope we are just going to raise completely from ICO's". Michael Zavet: I think that we're at a very critical kind of phase right now. The market's been bearish over the last while so their confidence has come down. I think that there's going to be an evolution definitely we're seeing a lot of projects now sail doing the ICO route. And that being that there were a lot of I would say non-legitimate companies or bad actors who took advantage of the hype and raised money and had to deliver no product. So, there is definitely a lot of investors that were left holding the bag so to speak. And that kind of painted a negative picture of the ICO in general. So, I think that it's be up to sort of the good actors as well as the regulators to produce good products that return value to investors in order to validate the method and the space in general. This sort of the critical time and that's yet to happen. I'm confident that it will but I think only time will tell. And you know on that note there have been a lot of amazing projects that have done ICOs successfully and have created a lot of value. Manseeb Khan: It is again like you have mentioned it's just a matter of time and like hopefully regulators either be the government, or I guess other third-party validators to hopefully see that "ok like there's actually some kind of validity to this". Do you see ICOs suppose replace IPOs in the future. If so what would be the benefits of it? Michael Zavet: I think that could happen. What I see more likely is sort of a merger if the technology is adopted by major exchanges like Nasdaq in the world then I think that it would make sense to do sort of tokenized offerings. I mean even now you see the blockchain is used in a lot of ways that aren't necessarily user facing for example in the background. And the technology behind ICO or tokenized offering is that it makes sense over paper securities, traditional way right because it's a programmable unit which can be modified on the fly and it's a lot more adaptable. It's a lot more adaptable and it's essentially taking what we do now and stepping into the next level because paper securities have not changed in hundred years. So, it's very possible that in the future every exchange will adopt the technology. But again, hard to say. Manseeb Khan: Yes, because it's a very I mean we've mentioned a couple times in the show that it's very much it's a grand experimentation and we're just kind of seeing what sticks or what doesn't stick, and it falls into like what regulations looks like. Is crypto a security, is it a commodity like what are we kind of classified as like what do whatever define it as we move forward to. Michael Zavet: That's exactly it and on that note a lot of the bigger institutional players are taking note. I mean we had a meeting with S&P recently and they have actually use CITS. So essentially, they're giving us the validation that we're looking for in other institutions turn off and then know it's stuff like this builds good self-confidence for the space. Manseeb Khan: I know we had we mentioned like Galaxy digital a couple of times in the show. Like how you're having all these like big players like institutions just kind of slowly come into the market. And I guess that's going to help even more with validity and just a lot more it's going to be a hybrid of the old world meets New World and kind of seeing that it's the middle now. Michael Zavet: Absolutely. I mean even just two weeks ago Fidelity announced that they were going to start offering custodies solutions. So, you know as more of these players kind of pop and then I think that that will definitely help push us towards where we want to go. Manseeb Khan: Yeah no absolutely. So, let me speak of regulations you guys are a regulated with the SEC and you guys were with the OSC right. Because I remember that there was a 100 day. There's 100 a limit or 100-day countdown. I don't know if you guys cleared it doesn't really seem much on us yet. Michael Zavet: So, in Canada we are dealing OSC right now. we are we're actually in the process of applying for an MSB. 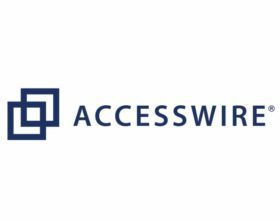 Which hopefully we will have in the next few weeks after which we're going to seek to acquire and an APS license either through application or acquisition in the U.S. we acquired and ATS and broker dealer, so we're regulated by FINRA and the FCC. Manseeb Khan: So, I mean dealing with regulations and just dealing with the government in general because you guys are since you guys are going a little bit more the securities route. you guys are tied down geographically. How do you see government regulations put in place? What regulations are you hoping that either the Canadian government or the U.S. government are going to put in place to make it a fair game for everybody but still be innovative? Michael Zavet: Yes. So, we're hoping that there will be some kind of framework laid out within the next year or so. You know it's taken a while some of these bodies to respond because you know they're collecting their information and doing their diligence and you know given how large these institutions are how much is resting on their decisions. I think that it will not happen overnight. We are hoping that in the next few months we'll see more light shed on how they watch the STOs offered and the system will change just currently for example Reg-D offerings we can only offer them to credited investors. And that's mostly what we're seeing through STOs currently. But that leaves that a lot of the retail investors should be able to get involved and benefit from early stage investments. So, we're hoping that these kinds of regulations would change will change over time and be more inclusive. Manseeb Khan: I guess would governments in general adopting these emerging technologies Would that be a factor like is that an also hope that you guys are. I mean you like other companies in the space are hoping I mean the best way to understand something is to be in it right. Michael Zavet: Absolutely and I think that there's no doubt that they're looking into it as we speak and there is a lot of test projects and adoption happening. It's just the pace of it is quite slow and you know for good reason they're also trying to protect investors. Michael Zavet: That's absolutely right. I mean if something catastrophic crash happens. Now it would be hard to recovery. There's a lot of value that will be lost in the market. It's over 200 billion dollars. And you know there's a lot of value to erase so fingers crossed. Manseeb Khan: So, to go a little bit more nitty gritty what regulations are hoping that can make Canada a little bit more competitive because you know compared to the Asian markets and maybe in the U.S. market themselves we are falling behind. Would it be regulations that are going to help us stay competitive or is it a mindset thing like what in your in your eyes what do you think can help Canadians become a lot more competitive in the space? Michael Zavet: It's a combination of adoption and of course regulation. I don't think like the OSC is too bad with regulating the space compared to some of the other institutions SEC for example. And a lot harsher on the crypto space in general. So, I think Canada actually does maintain a fairly good competitive edge and there's a lot of amazing projects that have come out of Canada and continue to come out of Canada. So, I think that Canada will be a big player in the blockchain space in the future. And as long as we know strives to regulate and moderate the space it will continue to grow. Manseeb Khan: Yeah, I believe it just a matter of time situation for I guess the Canadian space because it's Canadian themselves in general like to play by the rules and stay within the lines. So, it makes sense that they get it right. Right. It makes sense with the kind of wait it out a little bit and see where it leads right. Michael Zavet: Absolutely and traditionally the OSC does kind of look to the SEC to see how they respond and react to things so naturally I think that's going to happen in this situation too. But that being said up till now the OSC has been fairly welcome to crypto and innovation in general and I think that's a really great competitive edge for Canadian companies. Manseeb Khan: I mean I guess the fear would be that you have the old institutional world would be a little bit more maybe to be kind of like touching us with a 10-foot pole. When it comes like this new innovative technology so it's kind of comforting to hear that like no they're actually willing to work with us. They are willing to like to go through the regulations and actually like fully to adopt this and see. See what the hype is really about. Michael Zavet: Yes, I'm confident that that Canada will be the hub for blockchain and it already is that will continue to be so. 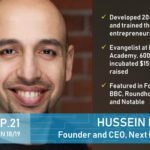 Manseeb Khan: I'm excited because Canada is already slowly becoming a hub for AI technologies, so it should be more exciting like it's also has the potential of becoming a blockchain hub as well. The other industry that gets very much slammed together with crypto and blockchain would be the cannabis space which is something that are actually well versed and right you've recently ran a publicly owned company. How do you see the cannabis space and the crypto space I guess working together? Call it a marriage. And what does that marriage look like. Michael Zavet: Yeah, I think that you know cannabis and crypto are often kind of lumped together because they're both such nascent industries. That said there's a lot of perils and there's a lot of differences. They're not the same. by any means there are a lot of projects that do kind of intermingle with the two. I think that there have been a lot of challenges when it comes to creating products in the space through crypto. It seems like people were kind of targeting the low hanging fruit that didn't have too much value. But that being said I think that I mean already I know that some cannabis companies are utilizing crypto or things like supply chain management and more back end uses and that's sort of how I see it going forward. And possibly also from an STO perspective. We know that a lot of US cannabis companies for example they can go public in the US because federally they're still considered illegal and due to that they have no means of accessing liquidity in a very challenging time acquiring capital. And so, I think that is actually a very interesting marriage between crypto and cannabis being a vehicle for cannabis companies to be able to fundraise and access liquidity. Manseeb Khan: Yeah and should be interesting to see cannabis and like and other emerging startups too later adopt like when like us when it when it becomes federally legal if it becomes federally legal in the states. of just being like a supplementary fund. We're going to launch a kief tokens and it's going to help us blow or whatever it. Manseeb Khan: Totally and the other thing is that they can issues some unique you know financial products that are hard to access right now. For example, they can offer instead of just traditional equity, revenue streams things like that. So, it gives investors sort of you know different products to play with. Manseeb Khan: How do you see that shift happening because it's quite a shift of like and sort of offering equity offering revenue stream streams instead. I guess what that conversation looks like. Michael Zavet: Yeah, I think these products already exist. 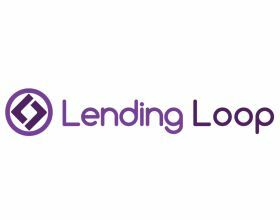 I mean you know there's other things similar to bonds and things like that and it's really just about tokenizing them and you know making them accessible to retail investors. I think that's really kind of the main thing that retail investors currently. Though many don't know how to access products. I mean you know opening brokerage accounts is simple enough. Sure. But getting into some of the more complex vehicles is not so much. Buying equities is pretty straightforward but I don't think that your average retail investor necessarily understands that. You know access some other products that don't rely on equities. Manseeb Khan: I've definitely dinged on this a couple of times, but I think it's an education thing right like we have amazing companies like. As long as you guys are educating and like you guys out of other exchanges you guys are making security tokens a focus. And you hear about here and there you'll see a blog post you will see an article of why security tokens would be important but by having companies like having sole focuses on certain areas and like educating on certain areas retail investors and just like us traditional investors in general are going to have better understanding of what they want to put their money in and not put their money in. Michael Zavet: Yeah and I think that there's going to be a kind of massive curve that has to happen. You know people need to be made aware of these products and understand them. And really also not fear them because you talk to probably your average person that's heard of crypto. Odds are they've heard negative things they don't understand. There's definitely been you know some negative press surrounding space in general . So, there's a lot of education that has happened has to be up to the companies to do that. For adoptions happen people need to be made aware properly. Manseeb Khan: Hey I mean I try to use. I run a financial tech podcast and I'm and I mostly have crypto guys as an icebreaker on dates and that's oh boy, like that gets a little tricky. like wait don't criminals use bitcoin. I'm like well they do but you can also use it too. Michael Zavet: The amount of times that you know explain that Silk Road is just that company a few years ago that is no longer around and it’s not the only use case for crypto. Manseeb Khan: So, I mean what are you most excited about in the blockchain. And I'll even extend it out even in the cannabis space now that I recently got legal right. I mean being a being a former cannabis guy and now being a crypto guy. So, what are you most excited about in these two spaces? Michael Zavet: Yes. So, for cannabis I'm most excited about you know the prohibition ending in Canada which is you know phenomenal and a huge landmark. and then hopefully the same happened in the U.S..I think the federal government will definitely address the issue sooner than later. So that's sounds exciting in the cannabis space and it’s definitely going to be a huge proliferation the U.S. Canada continues to evolve in the market's maturing. You've seen new products and new businesses just great for everyone, the economy, and creating jobs while creating a lot of value for shareholders. On the crypto side naturally, I'm very excited about the proliferation of tokenized securities and of course some bias there but. Michael Zavet: Yeah. I mean honestly, I think that this new market is really exciting and being able to sort of educate people and eventually bring them new products and instruments is really exciting. Manseeb Khan: I can't wait for more of a focus on I guess just securities in general just like understanding that like okay now that everybody is going to go more crypto and go more digital. Security aspects can be a huge factor in understanding how to be safe, how to protect your assets, how to protect investments and just moving forward from that right? Manseeb Khan: Any anything else that you. Something that you curious on something that been like that you've been trying to like rattling your brain on that you want to share. Other than the core stuff that we that we discussed today? Manseeb Khan: Really bear markets interesting. Tell to me more. Michael Zavet: Well I mean in the crypto the market has experienced the a massive a price squeeze and you know the values receded quite a bit in the last few months. I think that it could be a healthy correction and we haven't seen it move very much one way or another which tells me that investors are scared is probably holding on because they've experienced pretty big losses and I'm hoping that this will you know pass. Manseeb Khan: It just that specific sect? . Michael Zavet: A lot of investors now become I think more bearish and then before. 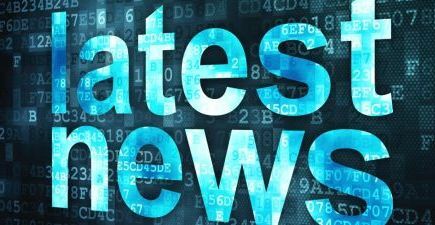 You are not seeing much good news coming out or not seeing much movement. It's funny because cannabis is such a big focus. You know two three years ago and then crypto came out and really took the spotlight for a while as you saw the massive price increases. And then now that the crypto prices have come down and stayed relatively stagnant. Cannabis is sort of back in the spotlight. Yeah, I mean I think it's a little bit more of like we talked about it's like it's the bad actors that have been in the space right. In the past two three four or five years and just running massive pump and dumps. Of like water bottle coin just raise the 100 mil and disappear it it's just like OK. You hear those stories, so it makes sense like why investors would be fearful but again it ropes back what we just talked about like education is the key. Manseeb Khan: Absolutely. I mean like there was an iced tea company you know just to curb down their name and raise a small fortune just based on that. Right. It's like a joke. And obviously I'm happy that investors are wising up but at the same time it's unfortunate some of the good actors are being dragged out with them. As traditional investors have a better understanding of what it is and like its sort of like companies just throwing AI and blockchain and ICO on the pitch deck. and actually, ok we'll like how you're actually going to utilize it ? Like investors are starting ask smarter questions those B CD players are just going to pander out and the cream of the crop could raise interest again just as a matter of type. Michael Zavet: Oh, totally it's a market evolution and not to mention that there are a number of sorts of pump and dumps and things like that definitely left a sour taste investor mouth. You know companies that are ARTO to venture change had blockchain in their description and raised a whole bunch capital and you know pretty much disappeared. Manseeb Khan: Yeah, I mean again it's thanks to you guys doing your due diligence actually showing that like hey like is actually a good actor. There's actually good in this industry and we're going to show you how. Manseeb Khan: Well the best way for people who have any questions they want to get to know Hyperion a little bit more. What would be the best way to either contact you or just contact Hyperion. Would it be do we Snapchat you .Do we e-mail you would be the best way to contact you? Michael Zavet: Yes, we're in the process of setting up sort of our social media and actually we're doing some you know very public facing marketing in the next little bit. We've engaged a really cool branding and ad firm to do that with us. In the meantime, our Web site is livehyperion.xyz or Hyperion. Exchange. And through that you can go to our info link and send us an email. Manseeb Khan: Ok awesome. Thanks so much for sitting down with us today. And I mean I've learned a lot more about security tokens than I ever thought I would. Michael Zavet: Thank you very much for having me. Very engaging. 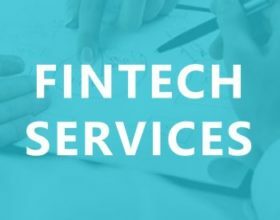 Outro : ou've been listening to fintech Fridays brought to you by NCFA and partners. Tune in weekly for the latest fintech Friday podcast by subscribing to this channel. 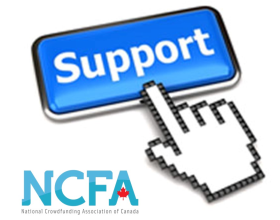 The National crowdfunding and FinTech Association of Canada is a non-profit actively engaged with social and investment fintech sectors around the globe and provide education research industry stewardship services and networking opportunities to thousands of members and subscribers. For more information please visit and see if a Canada dot org. Oh yea.